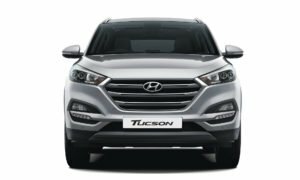 24-November, 2016- Hyundai has revived the Tucson brand in India with the launch of the new generation model. First launched here in 2005, the first generation Tucson did manage to find a few homes on Indian soil, but thanks mainly to an industry that was yet to warm up to premium SUVs, it failed to find many buyers. 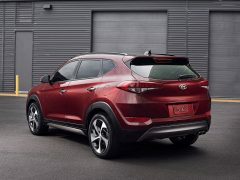 Fast forward to 2016 and the Indian subsidiary of the Korean auto giant launched the new Tucson SUV earlier this month. New Hyundai Tucson India prices start at Rs 18.99 lakhs (ex showroom Delhi). 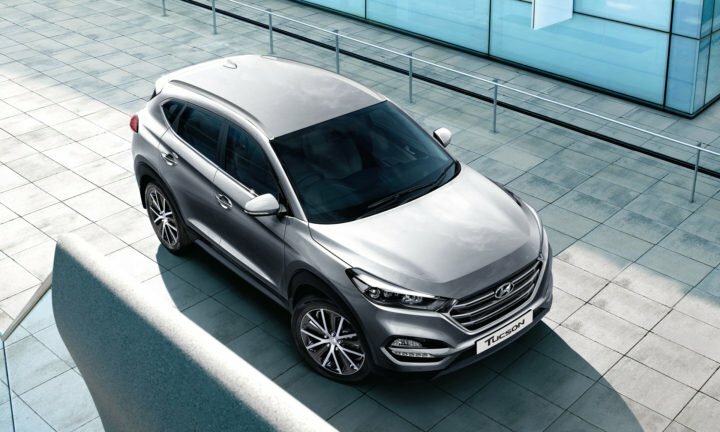 Read more on New Hyundai Tucson 2016 India price and other details here. 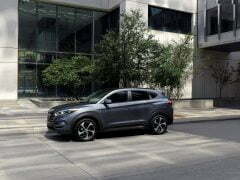 The new Hyundai Tucson, which is in its third generation now, is positioned between the Creta and the Santa Fe in the manufacturer’s SUV portfolio, and will take the fight straight to the Honda CR-V. The new model Tucson made its India debut at the Auto Expo 2016, where it shared the floor space with many other Hyundai cars. You can safely expect us to come up with a detailed 2016 Hyundai Tucson Review in near future. 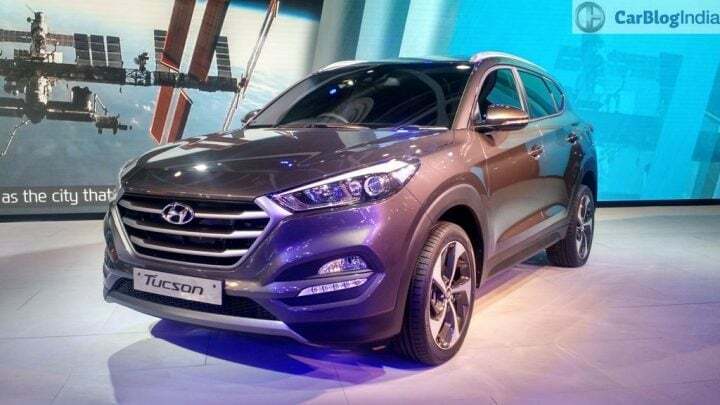 The new Tucson has been pretty quick with garnering a positive response from the Indian premium crossover buyers. The latest model from Hyundai has already garnered over 200 bookings in a matter of just 10 days. 75% of the total orders places are for the Diesel model. Also, 55% of the total bookings are for the fully-loaded Automatic Diesel variant. The top-of-the-line Tucson Diesel has been priced at Rs 24.99 lakh (ex-showroom, New Delhi). The new Hyundai Tucson costs Rs 18.99 lakh (ex showroom Delhi) for the base petrol variant. 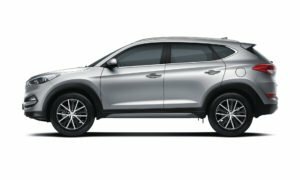 Diesel Tucson range starts at Rs. 21.59 lakh (ex showroom Delhi). 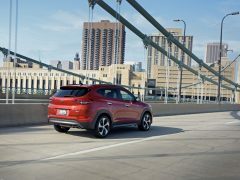 In Hyundai India’s SUV portfolio, the new Tucson finds itself slotted between the Creta and the Santa Fe. 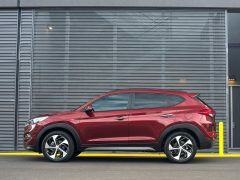 Even with a starting price of around Rs 18.99 lakhs, the new Tucson, still enjoys a significant price advantage over the Honda CR-V. Hyundai India plans to cash in on our love for SUVs/Crossovers by increasing their presence in various SUV segments. The new Tucson is an integral part of this plan as it fills the void between the Creta and the Santa Fe, while an all-new compact SUV based on the Carlino (HND-14) concept showcased at the Auto Expo will be positioned below the Creta in the compact SUV space. India gets a 2.0-litre Diesel and a 2.0 litre petrol engine . The diesel engine delivers a fuel mileage of as much as 18.42 kmpl overall. 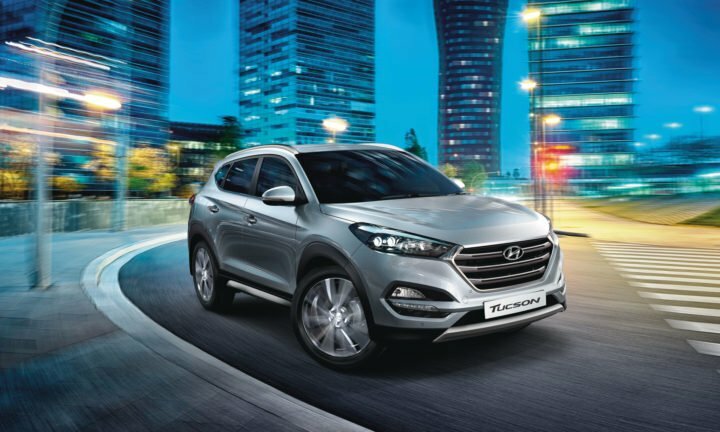 Hyundai India showcased the Tucson with the 1.4-litre Turbo Petrol at the Auto Expo 2016. However, we get the Elantra’s 2.0 L petrol engine with both manual and automatic variants. Hyundai does not offer the Tucson with an all wheel drive option for now. It is likely to be available sometime next year. Diesel manual variants of the Tucson boast fuel efficiency figures in excess of 18 KMPL. These are official ARAI figures. While the new Tucson’s main direct rival is the Honda CR-V, it might find itself competing with top-end variants of the Mahindra XUV500 and the upcoming Tata Hexa. Top end trims cost around 27 lakhs on road, which places it in the same territory as the lower level trims of the new Ford Endeavour and the Chevrolet Trailblazer. 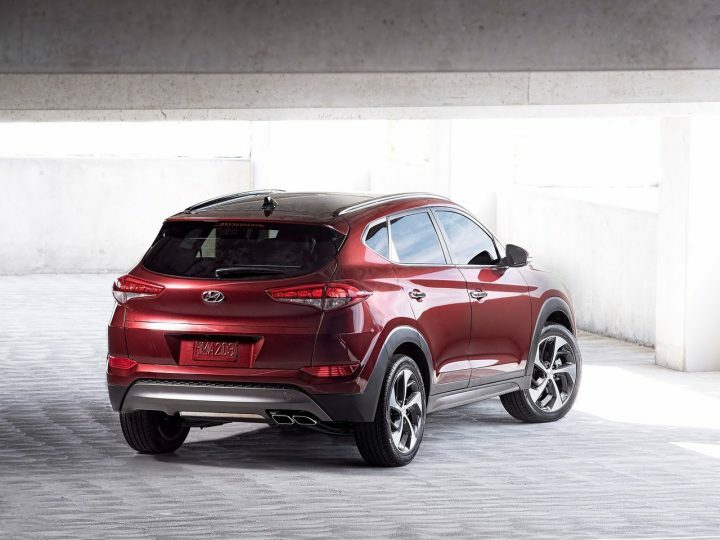 Unveiled at the 2015 Geneva Motor Show, the new generation Tucson, in line with the latest models from Hyundai, boasts a bold exterior design that makes it among the most stylish cars in its segment. 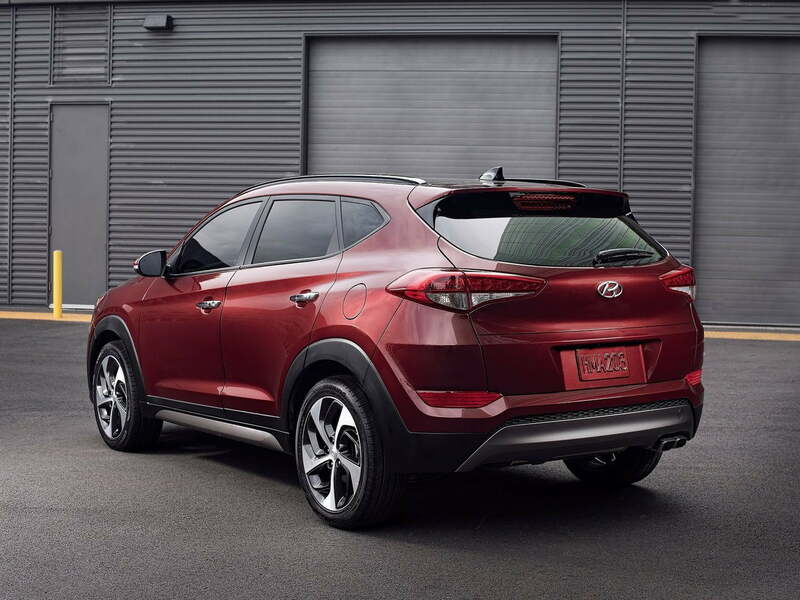 Up front, the new Tucson sports Hyundai’s trademark Hexagonal grille, which is flanked by a pair of sleek headlamps that run all the way to the fenders, and bestow a really sharp front fascia upon this SUV. 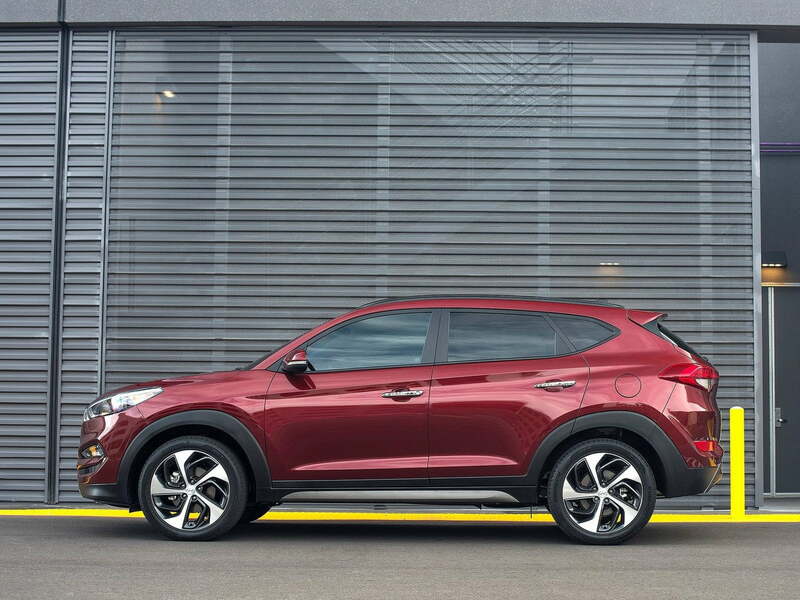 Unlike the slightly boxy proportions of the Creta, the new Tucson’s silhouette gets many curves and creases. All of these come together to add dynamism to this car’s design. The side profile is heavily sculpted and thanks to a dropping roofline, has an almost sports coupe-like appeal to it. 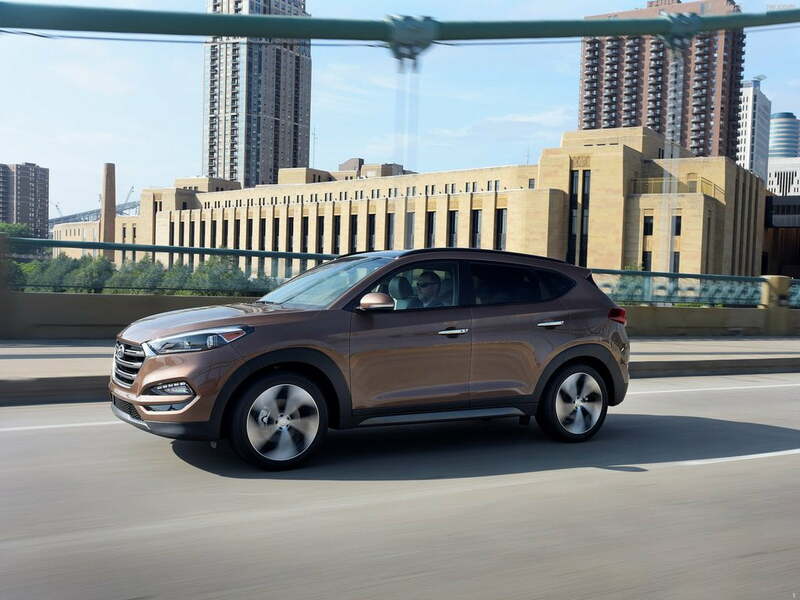 On the inside, the new Tucson isn’t as flashy as it is on the outside. You get a less radically-styled cabin and the two-part dashboard features a neat layout. Taking centre stage here is an eight-inch touchscreen interface for the infotainment system. Overall, the cabin impresses with its neat layout and a touch of luxury. 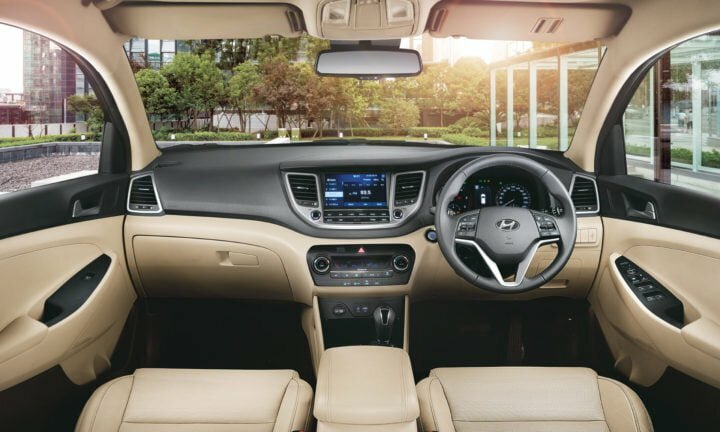 The cabin seen in pictures here features a black-beige setup, which is what Hyundai is offering on the India-spec Hyundai Tucson. The cabin does not feature a three rows of seats. However, this will free up luggage space behind the second row. The panoramic sunroof seen in the image below has been given a miss for the Indian market. For India, the new Tucson SUV features a 2.0 L Diesel and a 2.0 L petrol. The diesel engine powering the Tucson makes 185 PS and 400 Nm. 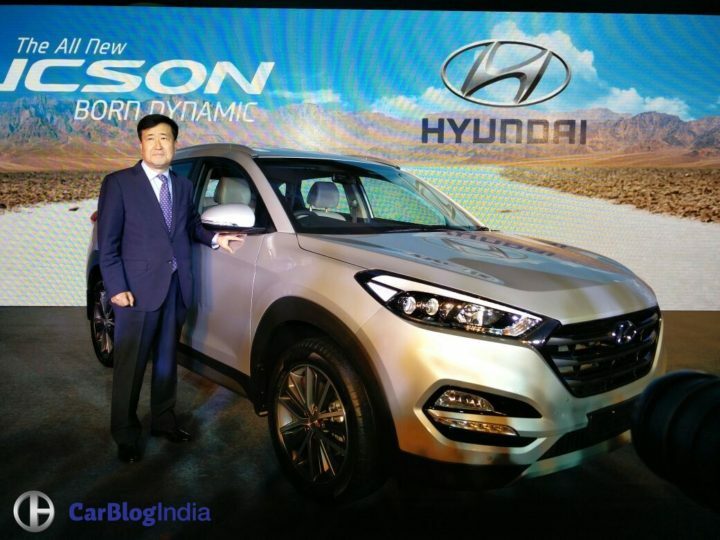 At the Auto Expo 2016, the Tucson on display had a 1.4-litre turbo petrol. However, that engine does not make it to India. Instead, the Tucson gets the Elantra’s 2.0 L Petrol that makes about 155 PS and 192 Nm. It is available with 6-speed manual and automatic transmission options for both petrol and diesel variants. However, there is no all wheel drive on offer for now. 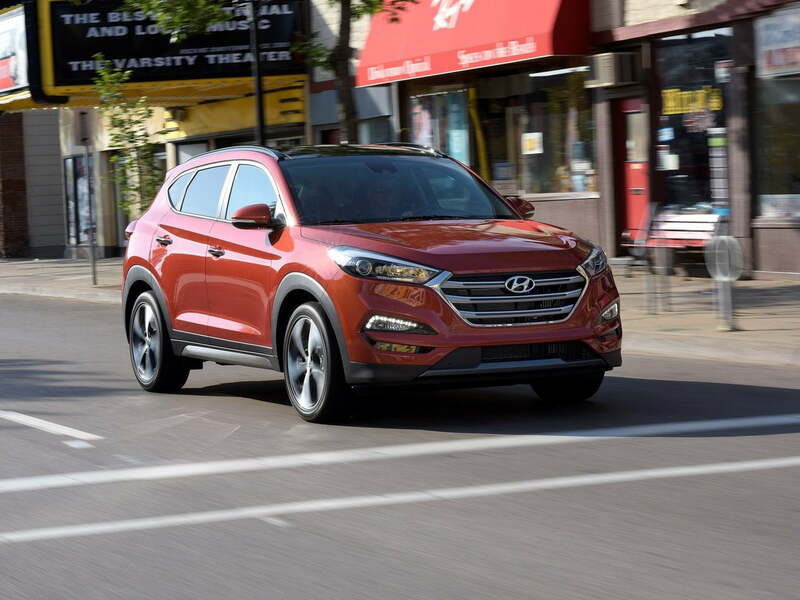 Sources say that Hyundai will launch AWD variants of the Tucson next year. 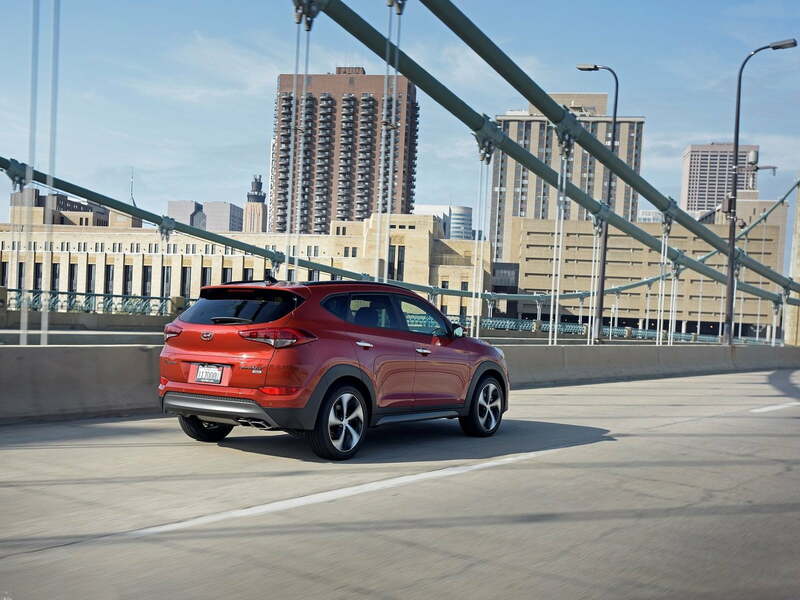 We look forward to driving the new-age Tucson. 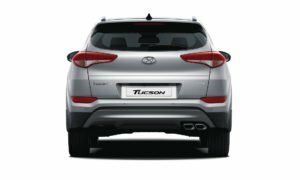 And while we’ll come up with a detailed New Hyundai Tucson 2016 India test drive review in the coming days, you can watch this space for more on the New Hyundai Tucson 2016 India Launch, Price in India, Pics, Specs, Features.